The skid control ECU receives signals from the yaw rate and acceleration sensor via the CAN communication system. The yaw rate sensor has a built-in acceleration sensor. If there is trouble in the bus lines between the yaw rate and acceleration sensor and the CAN communication system, DTC U0123/62 (Lost Communication with Yaw Rate Sensor Module) is output. Lateral acceleration difference between sensor signal and reference value is large. 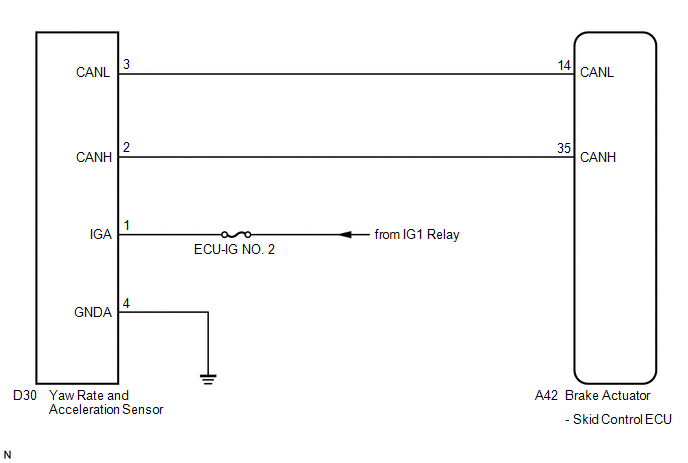 Offset value of sensor signal is higher than the standard value. Sensor signal is out of range (2.25 m/s2). Sensor malfunction signal is received from the yaw rate sensor. Sensor signal is out of range (10 m/s2 continues for 20 seconds). 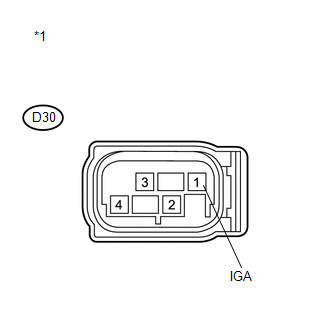 When U0123/62 and/or U0126/63 is output together with C0365/28, C1234/34, C1245/32 and/or C1245/45 inspect and repair the trouble areas indicated by U0123/62 and/or U0126/63 first (See page ). (c) At a speed of 30 km/h (18 mph) or more, drive the vehicle, turn the steering wheel, and decelerate (depress the brake pedal) the vehicle. 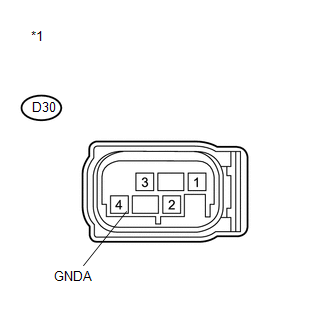 (d) Turn the ignition switch to ON again and check that no CAN communication system DTC is output (See page ). (b) Check that the yaw rate and acceleration sensor has been installed properly (See page ). The sensor should not be tilted. (b) Disconnect the yaw rate and acceleration sensor connector.